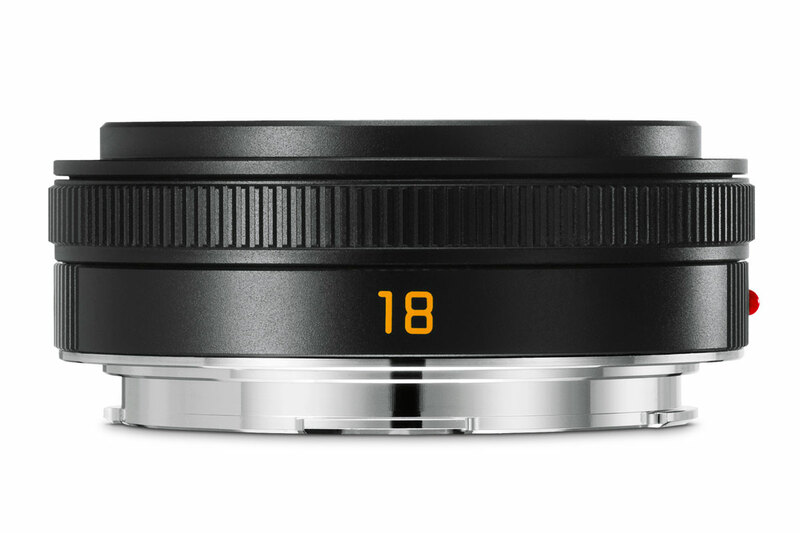 Leica has announced the Elmarit-TL 18mm f/2.8 ASPH, an extremely compact ‘pancake’ prime designed to give the smallest possible package when used with either the new Leica CL or its stablemate the TL2. It can also be used on the full-frame Leica SL, automatically engaging the camera’s APS-C crop mode to give the same 28mm equivalent angle of view. 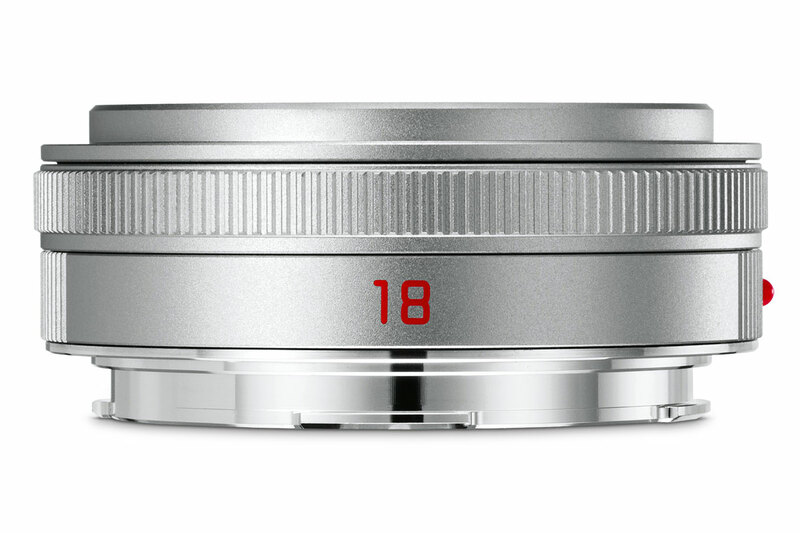 Measuring a mere 21mm long and 61mm in diameter, the 18mm f/2.8 weighs just 80g and employs a 39mm filter thread. Despite the lens’s diminutive size, Leica has included an optical formula with eight elements in six groups, including four aspheric surfaces to minimise aberrations. An internal focus design is employed for fast, silent autofocus, and the minimum object distance is just 30cm. Leica told AP that the lens is specifically designed such that flare is kept to a minimum with no need for a hood, thereby taking best advantage of its compact dimensions. 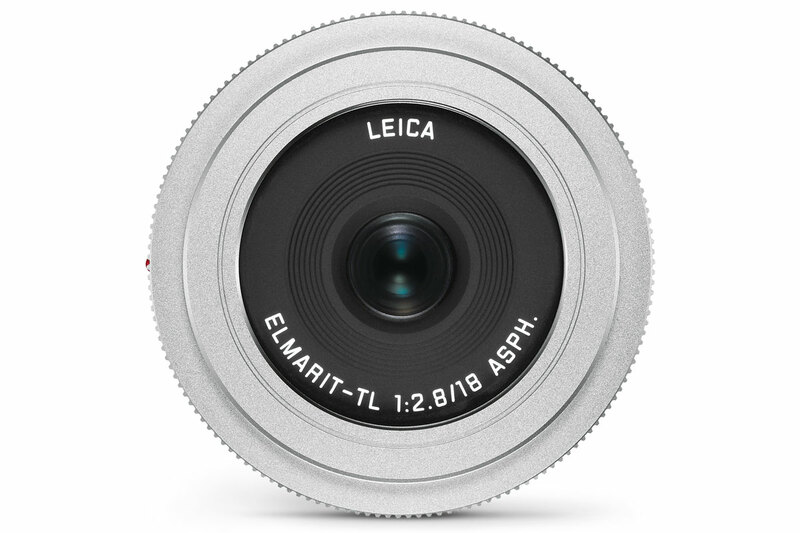 The Leica Elmarit-TL 18mm f/2.8 ASPH will be available in a choice of black or silver anodised finishes for £1020. 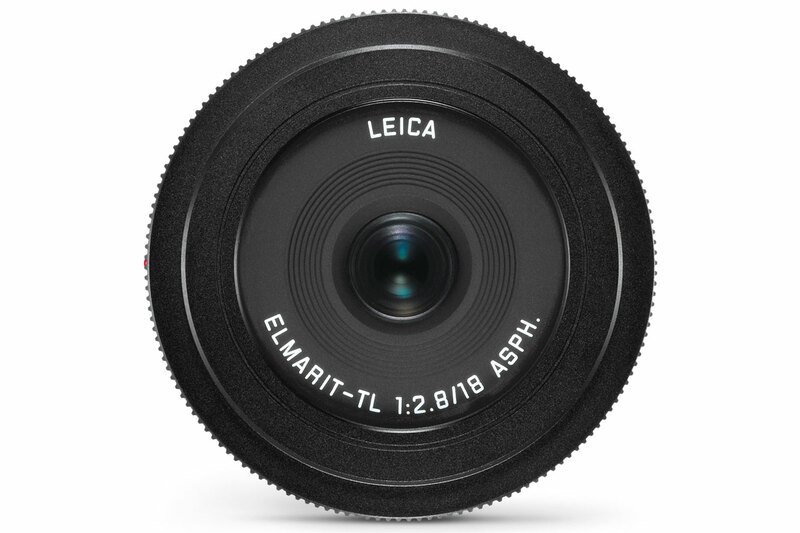 With the Elmarit-TL 18mm f/2.8 ASPH, Leica has expanded its APS-C mirrorless lens range to a total of seven. It has the basics covered, with the Super-Vario-Elmar-TL 11-23mm f/3.5-4.5 ASPH wideangle and APO-Vario-Elmar-TL 55-135mm f/3.5-4.5 ASPH telephoto zooms joining the Vario-Elmar TL 18-56mm f/3.5-5.6 ASPH standard zoom, together offering a focal length range equivalent to 16.5mm – 200mm. The other primes are the Summicron-TL 23mm f/2 ASPH which offers a good balance of compact size and large maximum aperture, the APO-Macro-Elmarit-TL 60mm f/2.8 ASPH which is ideal for both close-ups and portraits, and the Summilux-TL 35mm f/1.4 ASPH fast standard prime. In addition, all of Leica’s full-frame SL lenses will fit and work perfectly on Leica’s APS-C models, namely the CL T, TL and TL2, but they’re all rather large and end up looking somewhat mismatched. Leica also makes adapters allowing use of its manual-focus M-mount rangefinder lenses and even the R-mount lenses from its defunct 35mm SLR system.